CHARLOTTESVILLE, Va. (AP) _ The University of Virginia has effectively banned the main organizer of last summer’s white nationalist rally from its Charlottesville campus. 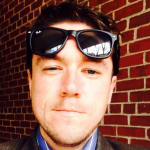 The university said in a statement Friday that it issued a no-trespass warning to Jason Kessler on Thursday evening and was in the process of serving him with the warning. The statement says the decision was based on reports from students that Kessler threatened them, targeted them through cyberbullying and cyberharassment or targeted them based on “protected characteristics.” Kessler couldn’t immediately be reached for comment. He was the primary organizer of the Aug. 12 “Unite the Right” white nationalist rally, which descended into violence. UVA also said Kessler “intentionally and purposefully misled” university police regarding the torchlight rally that he helped organize the night before the rally.